Miss Bee is pure honey! 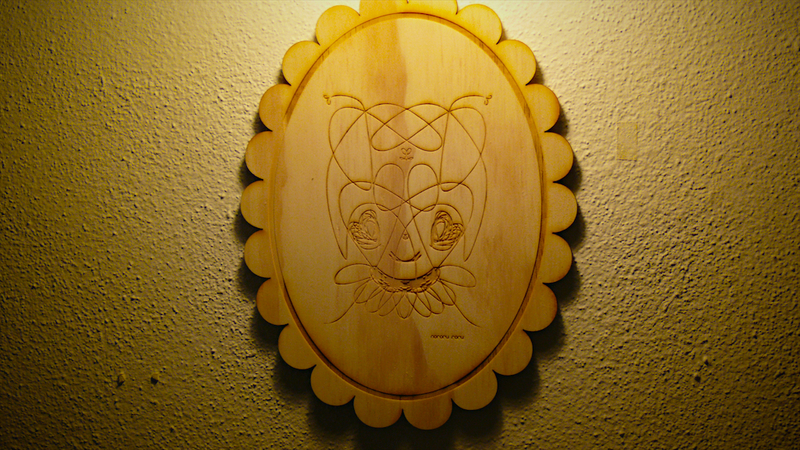 Laser Cut Wood Print by Nororu Roru. Individual Exhibit thanks to Almibar Postres Etc for their fabulous desserts and support! Dani&Alex rules!